I've always loved face masks, and given Army of Two was one of my favourite shooters ever, one of our quirky "things" is to buy Iron Man masks and spray them over as a sort of poor man's ballistic mask. 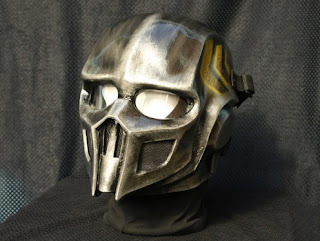 Poor man is right- check out a much better alternative with these amazing wares from UK custom mask maker Hidden Assassins- VERY cool indeed. The much coveted Pinpoint Sight is now on offer every month till the end of the year! As we stated in the contest rules, we'll be giving away one of these much coveted Nerf Pinpoint sights away EVERY month to the lucky reader who provides us with the coolest photo or video of someone they know, who would not traditionally be considered a toy gun fan actively using an identifiable Nerf/Airzone/Buzzbee/Maxforce/X-Shot etc blaster. Interpret it how you will,whether it be literal or not; as long as you can justify that your image/video somehow has the word represented, you're in the running! This comp is open worldwide, so anyone can enter! 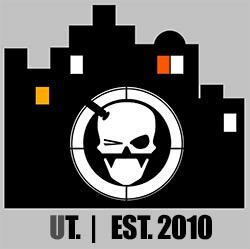 Well, if Urban Taggers is the blog that's in the naughty corner, Foam from Above is the dux of the school when it comes to Nerf:) They're very much the source of all things official and so it stands that the info provided below is all from the horse's mouth and pretty much legit. N-Strike Elite is going to become the standard of the N-Strike line. That means the new streamlines, the Elite branding, all of it is here to stay. The original streamlines and N-Strike brand as we know it are going to be replaced by N-Strike Elite. 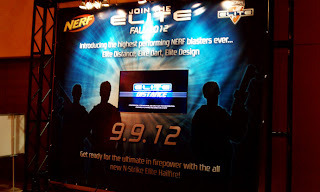 N-Strike Elite is going to revisit previous N-Strike blasters and release Elite versions of them. CALM DOWN. Without going into specifics, not all blasters are going to get Elite ranges. More recent releases than what came out when N-Strike first appeared are more likely to become Elite. I CAN'T TELL YOU WHICH BLASTERS ARE GETTING THE ELITE TREATMENT. The key phrase here is, "In the realm of possibility." But a Longshot is NOT (I repeat, NOT) one of them. The Nerf Firevision might have something for blaster fans :) That's about all I can say until Toy Fair 2013. Elite is Elite, Dart Tag is Dart Tag, Vortex is Vortex. They like to keep the brands separated so I wouldn't hold my breath for Dart Tag Elite and so on. Clearly, the Nerf Vortex line is going to be supported still. Nerf N-Strike Elite Darts will be the standard in the future. Micros and Sonic darts are going to be phased out, in order to make things easier for people. Elite darts will fit better in most blasters currently released. Dart Tag darts and Nerf Vortex discs will obviously still be available, as the lines are still supported. SOME international markets (Australia, mainland China, Philippines, etc.) will have a range-reduced version due to the toy safety regulations of their governing bodies. This means the blasters will achieve somewhere around advertised 50-55', down from the 75' that everyone else gets. Speaking of ranges, around a 35 degree angle is what the advertised ranges we see for darts, while Vortex is fired at 10-15 degrees to determine their range. Random: Fireworks Lightshow in my room.. errr.. When is a blaster NOT a blaster? Pump action with light and sounds- choose your mode and fire... err.. Fireworks. Seriously? Tactical Tag: LTAR: Release Update! Bazookafied of Tactical Tag has the scoop that the new Lazer Tag Augmented Reality blasters are scheduled to officially be released in August of this year with a beta release of July. This is awesome news!!! A friend of mine recently shaved her head for a Cancer fund raiser which was an awesome thing to do; given it was a rare occasion to find a girl with a shaved head, I had this crazy idea for an Urban Taggers photo shoot that'd just absolutely ROCK. Pinpoint Sight Giveaway: Photo competition! 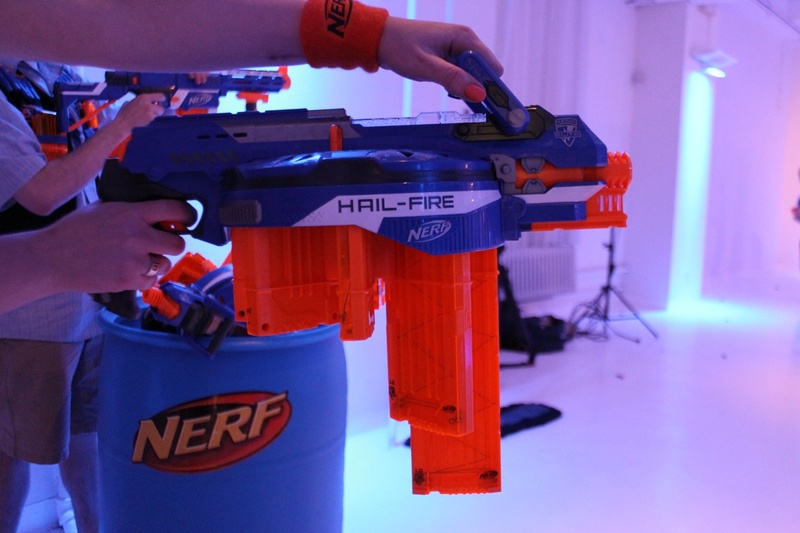 Consider it launched- at least to the media anyway:) Nerf's N-Strike Elite launch party had bootloads of journos and bloggers in the US coming out to check out the gear we've all been talking about for the past few months. Check out TechCrunch below for more info and images. 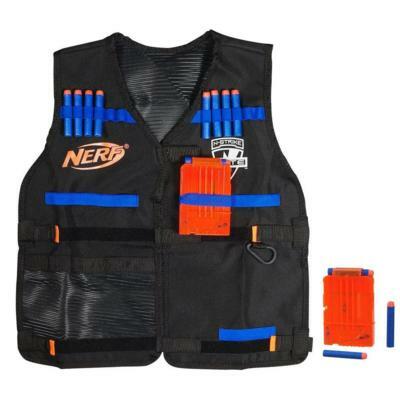 A few aesthetic changes and accompanied by the new Elite darts and our much loved (but never fitting) Tactical vest gets an upgrade! Product Description: Shock your targets with an unstoppable swarm of rapid-fire discs! With a huge 40-disc capacity and slam fire technology that gives you total control over your rate of fire, the PYRAGON blaster is the ultimate blaster for an all-out assault! Load up and blast your way to victory with the ultimate high-capacity disc blaster! Blast your targets with an overwhelming rapid-fire flood of long-range discs! The PYRAGON blaster features an innovative 40-disc drum that ensures you’ll have enough ammo to see almost any mission through to the end. Plus, the SLAM FIRE Handle gives you total control over your rate of fire – aim and blast one disc at a time for precision placement, or hold the trigger down and slide the handle repeatedly to unleash an unstoppable swarm of discs. You can also equip your other magazine-fed VORTEX blasters with the drum for high-capacity blasting! VORTEX disc blasters are the cutting edge in long-range, high-powered technology. Revolutionary XLR Disc Tech hurls ultra-distance discs for the ultimate battle experience. 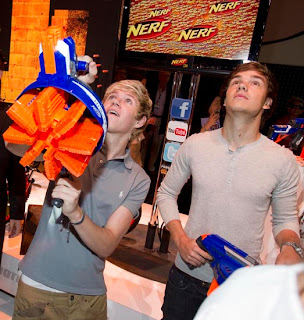 Do you have what it takes to handle the VORTEX blasters? And now you can add high capacity to your VORTEX arsenal with the PYRAGON blaster and its 40-disc drum. This SLAM FIRE blaster lets you unleash a rapid-fire flood of discs on your target. Or you can equip your other magazine-fed VORTEX blasters (sold separately) with the high-capacity drum. 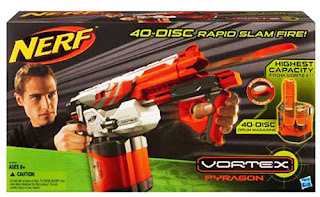 The PYRAGON blaster features 40-disc rapid SLAM FIRE action. Load up 40 discs in the drum, then attach it to the blaster. 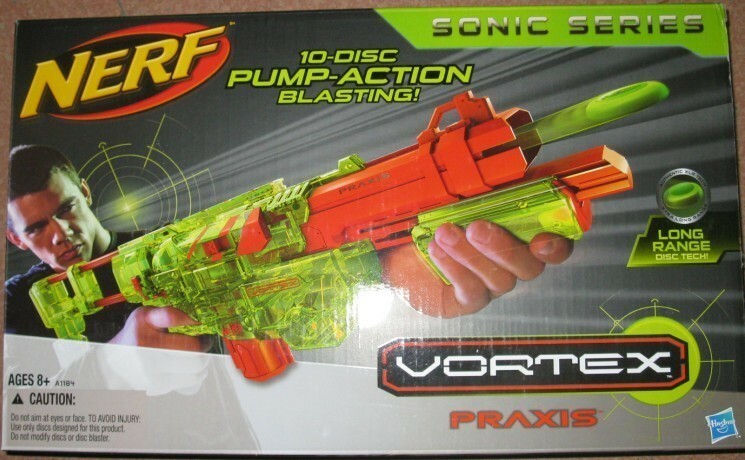 To activate SLAM FIRE, just hold down the trigger, and slide the SLAM FIRE Handle repeatedly to unleash a nonstop stream of discs. 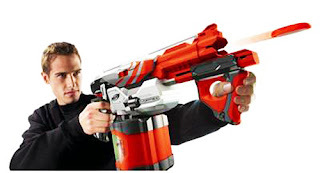 The 40-disc drum also works with any magazine-fed VORTEX blaster (other blasters sold separately). The PYRAGON blaster also includes 40 bright-orange discs. 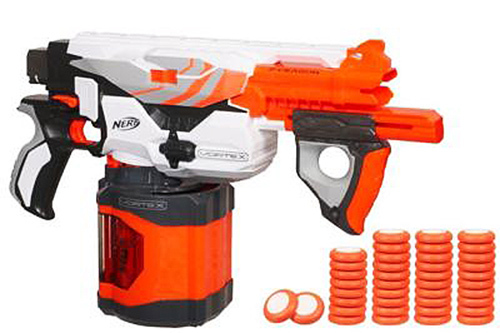 Includes: PYRAGON blaster, 40-disc drum magazine, 40 bright-orange discs and instructions. 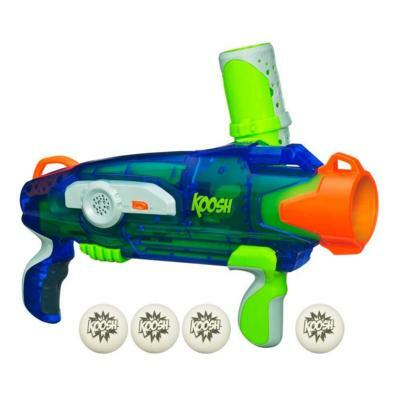 • Slide SLAM FIRE Handle repeatedly while holding down the trigger to unleash a storm of discs. 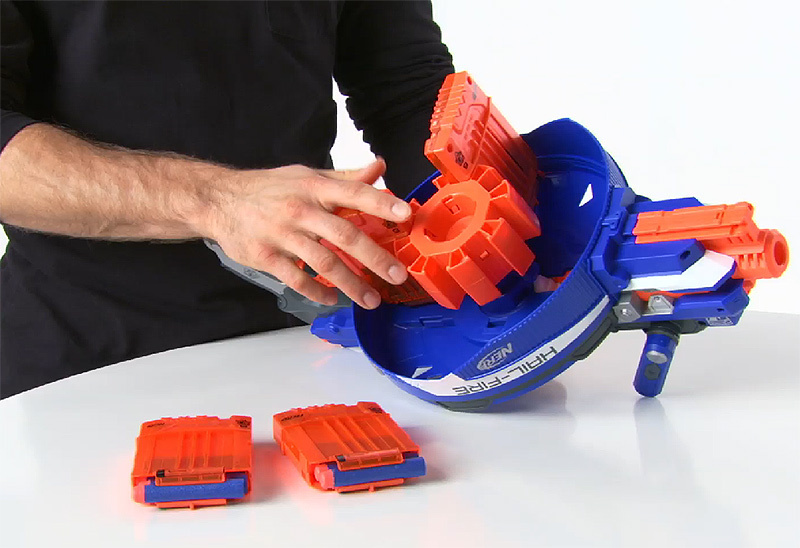 • 40-disc drum magazine works with any magazine-fed VORTEX blaster (other blasters sold separately). 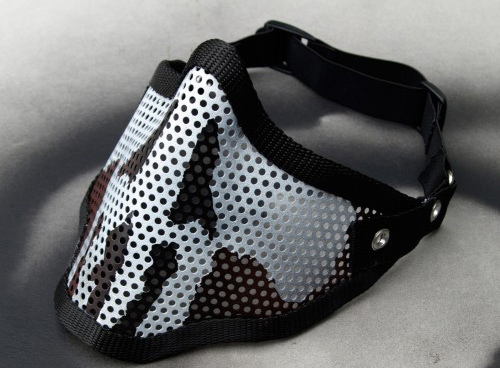 • Upgrade with any Tactical Rail accessory (sold separately). 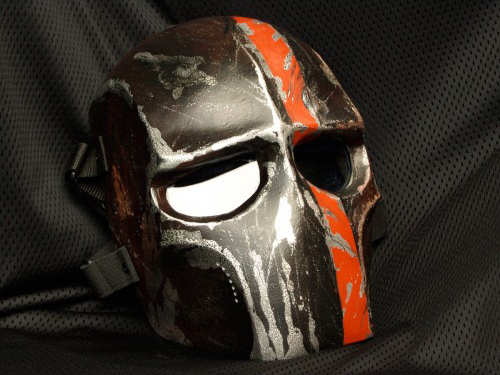 • Fires 40 high-visibility, bright-orange discs. We're learning more and more of the upcoming N-Strike Elite Hailfire with every pic and video; this time it's some official words from Hasbro themselves. As seen on Hasbro.com, a relatively detailed showcase of the Hailfire; in this vid what I find interesting is the use of the "advance handle" to rotate the ammo rack to the next clip. Thanks Kevin for the heads up! 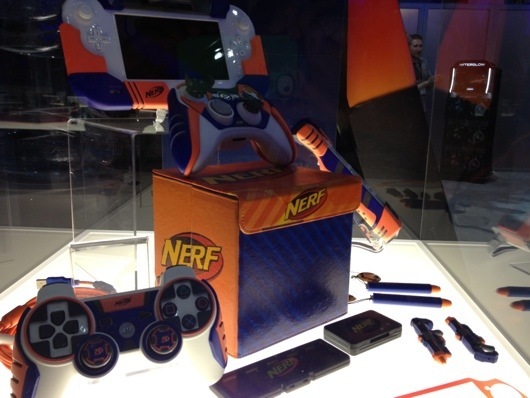 Jason, our buddy and affiliate at Basic Nerf was one of the lucky bloggers in the US who received a very cool N-Strike Elite Media kit, with the Retaliator, Rampage and a whole lot of other mad swag. Check out the vids- lookin' good! Looks like the much anticipated Nerf Dart Tag Snapfire 8 is now available in Singapore and our friends at SGNerf have picked 'em up! Looks like they ARE all that they're cracked out to be which is awesome news. 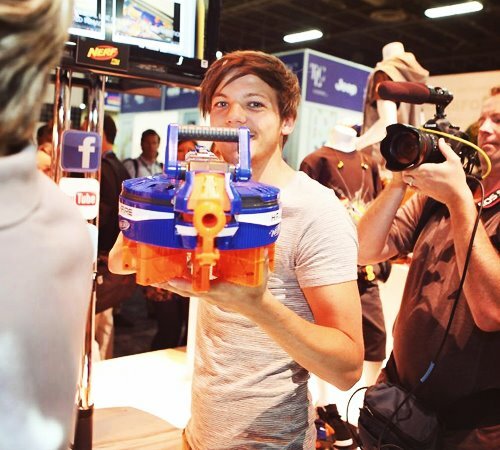 "The Snapfire 8 is a compact semi-auto blaster with an 8-shot auto rotating turret. Its semi-auto feature is based on a trigger pull-to-prime and firing system, therefore it does not require motors or batteries to operate. 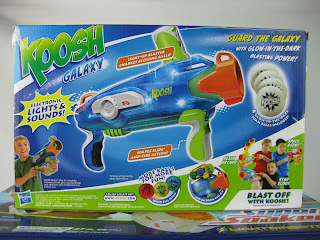 It also has a unique method of allowing users to tune the power, this is done by adjusting the tuning knob at the bottom of the blaster handle. It can be tuned for more "Speed" (easier to pull the trigger, but less range) or more "Power" (more effort required to pull the trigger, but longer range). An indicator on the side of the trigger handle shows the speed/power levels. Note that in both mode settings, the trigger requires strength to pull (especially in the "Power" mode setting). Users with weaker finger strength may find it an extra challenge to use. " 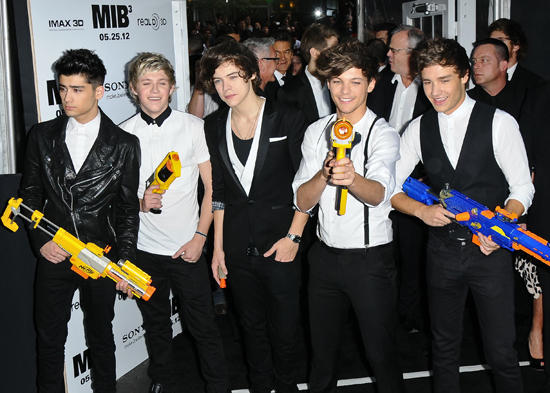 Check more at SGNerf . 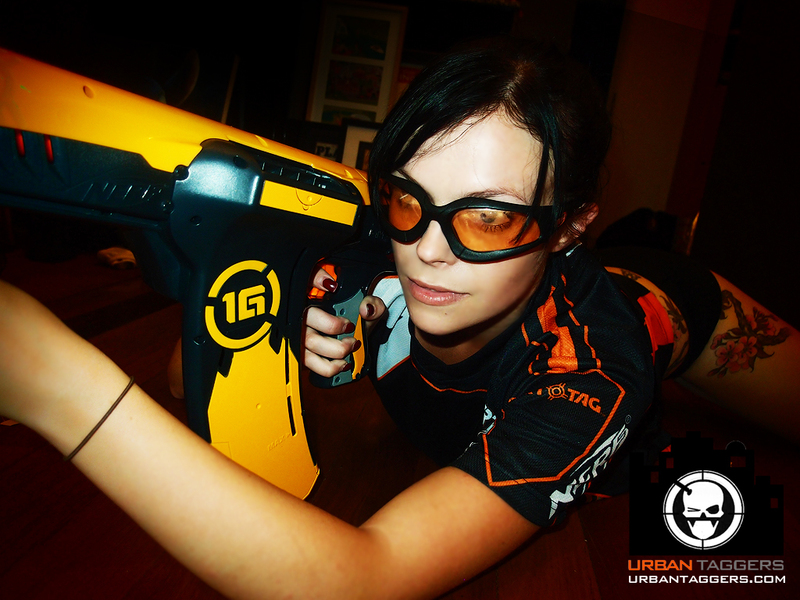 It might not be officially out till September, but if you're gonna showcase your latest and greatest blaster before launch, you might as well do it in the hands of a quirky Australian blogger the hottest pop music sensation in the world today. Brit boyband One Direction have a pretty good relationship with Hasbro, getting their own dolls in their likeness and now seen with the upcoming new Hailfire at a Las Vegas expo. 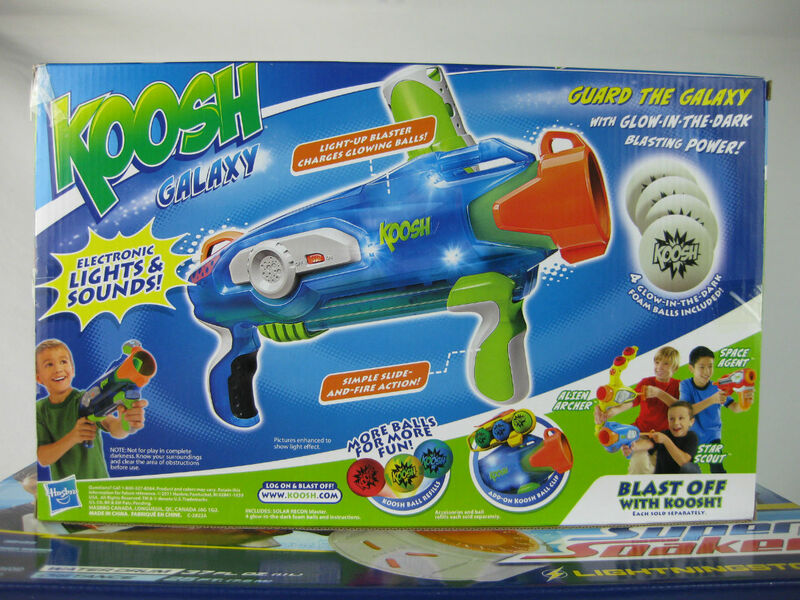 We first heard of the upcoming Koosh Galaxy range earlier this year and it's pretty obvious I am NOT the target market for these made-for-kids ball blasters. From what I can see, all but one of them ( the 'Space Agent ball launcher') are sans trigger which seems to be the way to go when making blasters for wee tacker. 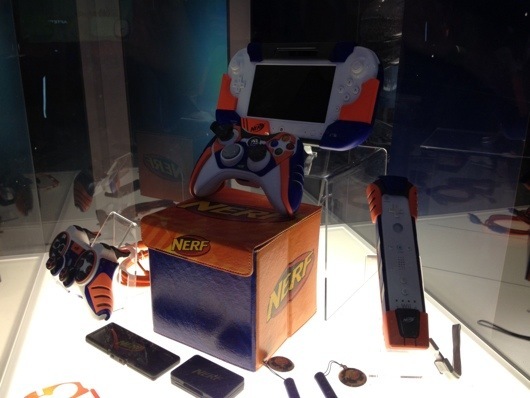 Performance Designed Products (or PDP) have revealed their new Nerf gear for the upcoming Nintendo Wii-U. 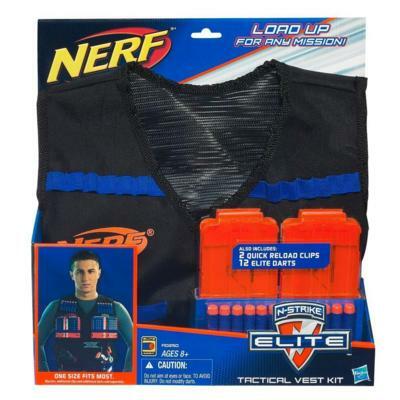 It's interesting how they're sporting the new colours of Nerf's upcoming Elite line rather than the traditional yellow and orange, although the blue and orange isn't a stranger to the Wii with the N-Strike Elite game gun accessory sporting the same accents. 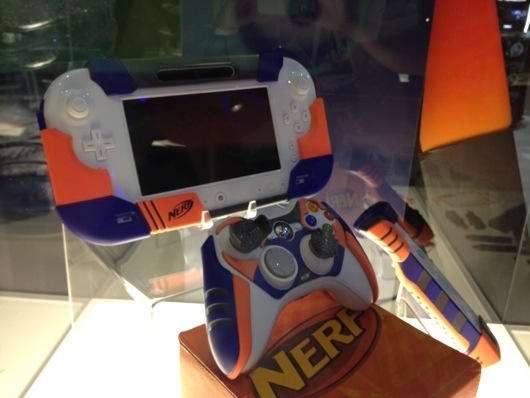 Spotted on Tao Bao, we see here a rumoured Sonic Series Vortex Praxis. I find it a tad confusing that you've got this N-Strike vs Vortex thing, and yet there was the cross over Light up series that crossed over both of them, and now we've got the Sonic Series. I would have at least chosen a different colour. Can u imagine a translucent blue Praxis? mmmm. My personal fav of the Nerf Dart Tag line. Sure, the Quick 16 is prone to significant jams, but it's just sooo smooth and feels great in hand..